DAA Converter is a native GUI application which wraps the command-line tool, DAA2ISO/GBI2ISO, by Luigi Auriemma. It runs on Mac OS X 10.3 Panther or later. 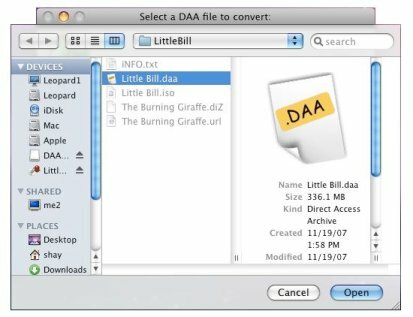 If you need more information please contact the developers of DAA Converter for Mac OS X (Twilight Edge Software), or check out their product website.